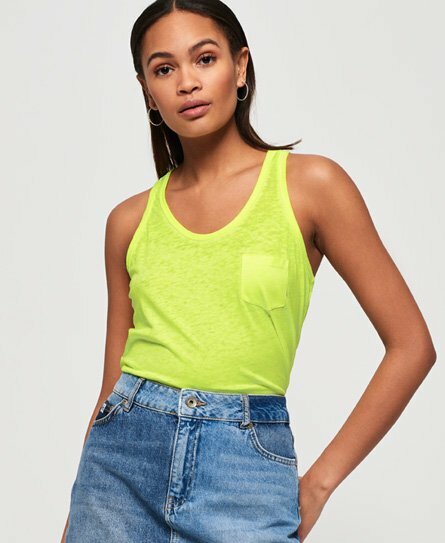 Superdry women's Burnout pocket vest. This lightweight vest features a single chest pocket and split side seams. Completed with a Superdry logo badge above the hem.